Before we can examine specific political questions in light of the teaching of the Bible, it is necessary to study what the Bible teaches about civil government. Where did the idea of government come from? What should be the purpose of the government? How should governments be chosen? What kind of government is best? 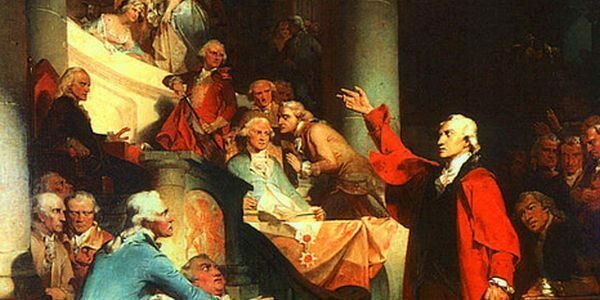 What are the responsibilities of governmental rulers? We will start by showing that God Himself established civil government to bring multiple benefits to human societies. Here God indicates that the crime of murder …as expressed by shedding blood…would be repaid by the forfeiture of the criminal’s own life: “by man his blood shall be shed”. No further details are given here regarding civil government. In speaking these words to Noah, God established the obligation to carry out the most severe punishment…the taking of human life…in retribution for the most horrible crime…the murder of another human being. Once this principle is established, then the imposition of lesser penalties for lesser crimes is also validated. If a government has the right to carry out the most severe kind of punishment, then it certainly has the right to carry out punishments for lesser crimes as well. Various kinds of punishments were established for the government of the people of Israel in the laws found in Exodus and Deuteronomy. This command given to Noah is significant in the 21st century because that event took place long before the establishment of the people of Israel as descendants of Abraham or the establishment of the nation of Israel as a distinct nation…beginning with the exodus from Egypt and the assembly of the nation at Mt. Sinai. The commands to Noah in Genesis 9 were given at the beginning of the reestablishment of human society after God destroyed all but Noah’s family in the waters of the flood. Careful Biblical interpretation would not limit these principles to the time of the Old Testament only or to the nation of Israel only. These principles have relevance for the whole human race for all time. The Old Testament reinforces the need for government to restrain evil. It shows that when there is no government, or the government is so weak that it cannot enforce laws, there are terribly destructive results. Stories in Judges 18-25 include some of the most horrible sins recorded anywhere in the Bible. They teach us the dreadful results of anarchy, a situation when there is no effective government at all, for “in those days there was no king in Israel. Everyone did what was right in his own eyes”. [Judg. 17:6, 18:1, 19:1, 21:25]. Where there is no ruler, sinful people make up their own morality and soon begin to do terrible things to one another. If there is no government authority to stop evil people, evil simply increases. “How long will you judge unjustly and show partiality to the wicked?…Give justice to the weak and the fatherless; maintain the right of the afflicted and the destitute. Rescue the weak and needy; deliver them from the hand of the wicked. [Ps. 82:2-4]. Rulers must judge with fairness and righteousness, and not ‘show partiality’ but judge only according to the law and the facts of the case. Teaching on the need for civil government did not end with the Old Testament. Next week we will continue with the guidance we are given in the New Testament. Based on history over the past several centuries I have had a difficult time understanding the function of government at God’s calling when so many governments have appeared to be ‘satan’ ordained. It’s coming to gripes with the knowledge that some governments are functioning as God designed them to function and some governments are overcome with the ‘powers of this world’ and are a disappointment to God. But then I am reminded that throughout history God has used evil people to carry out His will when believers have gone astray. To understand, one must not focus on one event in history but study how numerous events have come together to fit God’s plans. It has been difficult for me to understand. I guess I have seen too much and have processed it only with my limited human brain and reasoning.